Looking for a different type of adventure? The Aerial Adventure Course is located in the heart of Santa’s Village and offers 34 games over 2 levels to challenge you! Level 1 is a great introduction to the course with a fun variety of bridges, obstacles and zip lines to get you warmed up! You can finish your experience at the end of level one or continue on to the next level! Level 2 is more challenging for the adventure seeker. It includes, cargo nets, tire bridges, rolling logs and of course, zip lines. When you’ve completed level 2 be prepared to exit the course with a Leap of Faith! We will provide a 30-minute orientation to the course and your equipment after which you are free to travel the course independently. Guides are available to support you should you need assistance. We strongly recommend booking ahead of time with our online registration system. Walk-ups are welcome but you may have to wait for available space. If you are also booking our Zip Line Canopy Tour please allow yourself enough time to complete this course when completing your booking. We require 24 hours notice in order to receive a refund. Cancellations with less than 24 hours notice can be rescheduled for a later date but no refund will be given. All refunds will be subject to a 7% processing fee. 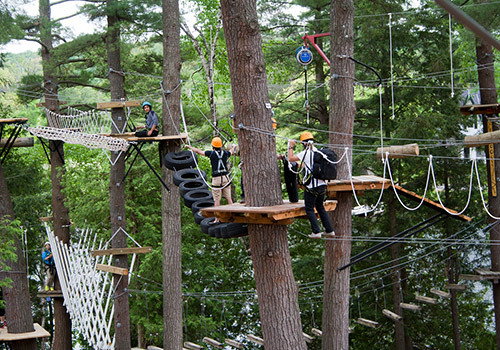 Groups of 20 or more will SAVE BIG on your Aerial Adventure and Zip Canopy Tour this summer by reserving your times with the group sales office. 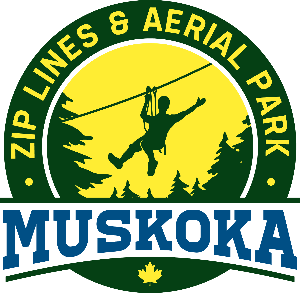 Muskoka Zip-lines and Aerial Park is a great place to stage your upcoming company picnic, team building or themed event. Our special event coordinator can help you organize your group of 20 or more from start to finish. Our great group rates and packages make us an affordable choice for your business, school class, day camp, birthday party, church or youth group. 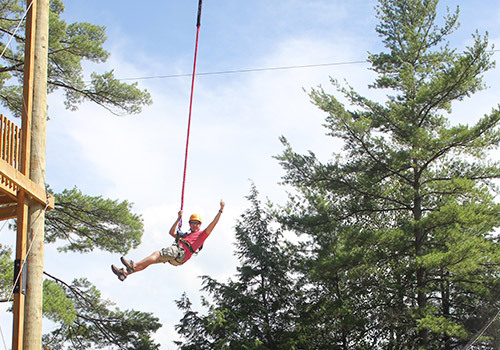 Contact Muskoka Zip-lines and Aerial Park today to plan your group visit this summer. 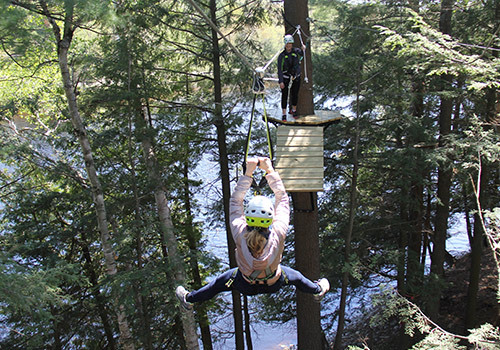 © 2019 Muskoka Zip Lines and Aerial Park.